The Avon Valley Railway is returning steam to the former Midland Railway branch line between Bristol and Bath. 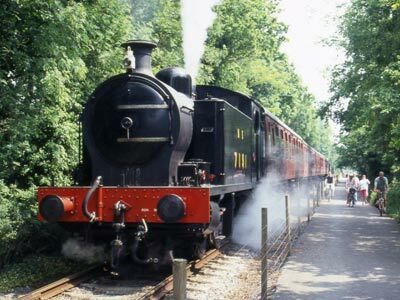 See the beautifully restored Victorian station, take a ride in a heritage carriage behind one of the steam or diesel locomotives, enjoy lunch or afternoon tea in the station buffet and pick up a railway-themed souvenir in the gift shop. Exhibits include a bar of chocolate exhibited at the Great Exhibition of 1851 by JS Fry & Sons; the Bristol Riots of 1831; the 90-year story of Frenchay Hospital; 18th century porcelain made by Richard Champion; children’s display with hands-on wooden toys; a quiz; visiting exhibitions. A study area has many local records and local history books are for sale. The museum is located in the former William Champion 18th century zinc and brass work and features a windmill tower. 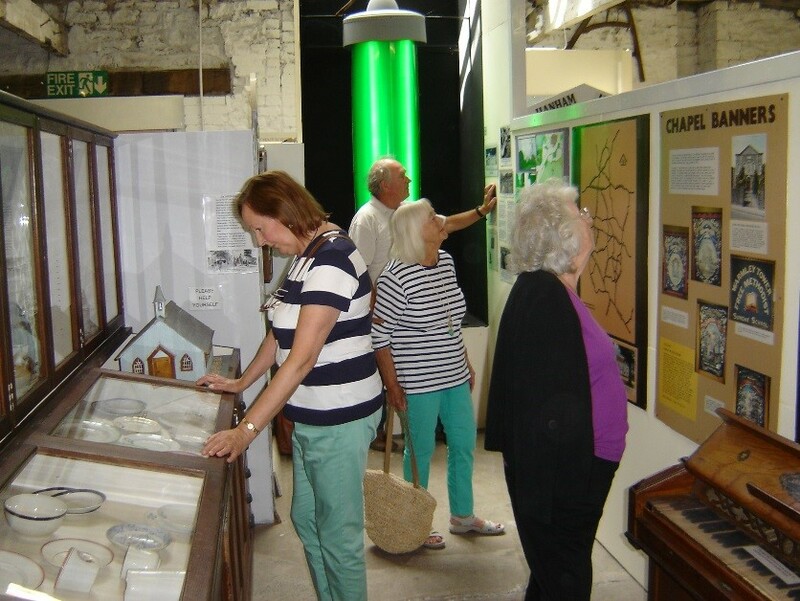 Permanent exhibits illustrate Kingswood Forest, coal mining, Douglas motorcycles, World I and II, Kleen-e-ze, non-conformist religion, Edwardian Kingswood, the boot and shoe trade and the Dram Road. There are regular guided walks round Warmley Historic Garden and the Grotto. 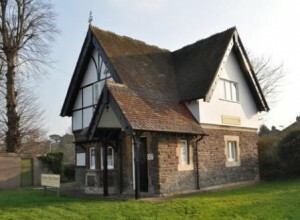 This small, independent museum illustrates the history of Thornbury and the Lower Severn Vale through its collections of archaeological, social, domestic and trade items. A special exhibition features the ‘Thornbury Roman Coin Hoard’ discovered in 2004. Short term exhibitions featuring a wide range of topics are changed regularly. The collection in store can be viewed by arrangement. The shop stocks local publications. 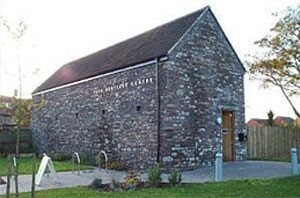 The Heritage Centre provides a full heritage service for the Yate and Sodbury areas. 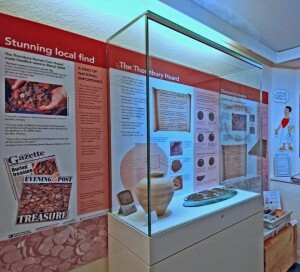 The centre provides changing local history displays, space for community art exhibitions, history and community events. A free education service and regular holiday activities are offered. The local history collections comprising artefacts, documents and electronic images are available for research. The building was formerly Victorian stables. Near Coalpit Heath, The site is in a private road off Broad Lane, Ram Hill (nearest postcode is BS36 2TY). The coal mine was operated from the1820’s to the 1860s by the Coalpit Heath Colliery Company. 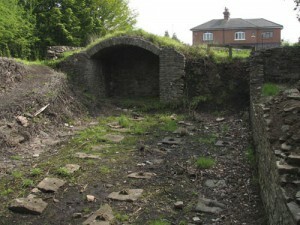 The site contains the top of the shaft, remains of the horse gin, steam engine house, storage bunkers and the terminus of the Dramway, which transported the coal to the river Avon at Keynsham. The Heritage Trust maintains the aero engineering heritage of Rolls-Royce and its local predecessors. Over 50 engines are on show from the Bristol Jupiter of 1920, Cherub and Luckfer through the Mercury, Hercules and Proteus to Concorde’s Olympus, the Harrier’s Pegasus and the RB.199. An extensive archive of books, technical manuals, photographs, paintings, videos, films, sales literature and models is available to researchers. The barn, built by Thomas de Bradeston in 1342, is one of the largest and earliest barns in the area. 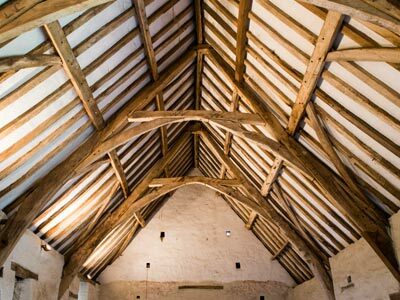 A fine example of raised-cruck construction with walls of local Pennant sandstone, the original 14th century roof structure is largely intact. Resident willow-hurdle maker and working cider mill and cider press. 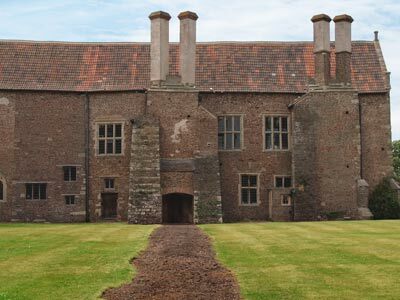 Acton Court’s remaining east wing was built in 1535 for a visit by Henry VIII and Anne Boleyn. 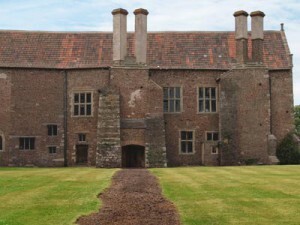 This unique Grade 1 listed Tudor building has been preserved largely intact; both house and grounds are scheduled monuments. The house is open to the public for a limited period during the summer. Professional guides give tours of the house and grounds. A 17th-century house nestled within an ancient deer park. Built by civil servant William Blathwayt, the house is home to some exquisite Dutch-influenced paintings and ceramics. 2015/16 sees the property undergo a massive conservation project to replace the leaking roof. Open now in the north of Bristol, Aerospace Bristol will whisk you away on an immersive journey through more than a century of aviation. Enjoy fun interactive and amazing exhibits – including aeroplanes, helicopters, missiles, satellites, engines and more before going aboard Concorde Alpha Foxtrot – the final Concorde to be built and the last to fly.